Today I am joined by Jamey Stegmaier. Jamey is the lead designer of Viticulture, The Strategic Game of Winemaking. 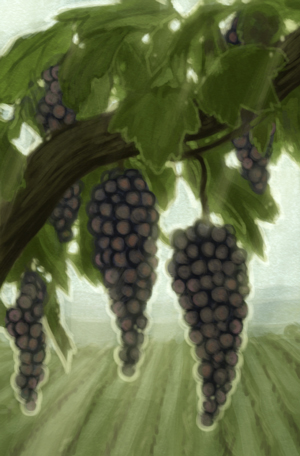 Viticulture is currently on Kickstarter but the campaign will be ending soon. The game is more than 200% funded and I hear very good things about it. Tom: First tell us about yourself. Jamey: I’m Jamey Stegmaier, a native Virginian now in St. Louis. I’ve been designing board games since I was 8 years old (they were all about knights and castles back then). Tom: That’s a pretty long history of game design. Why? Why have you been designing games for so long? Jamey: That’s a good question, but it’s really hard to think back to my mindset as an 8-year-old. I think there’s something in all people that makes us either want to consume or create, depending on the medium. Some people look at a book and think, “I want to write a novel,” while that thought doesn’t occur to others (but they want to read it). I love playing games, but there’s something in me that wants to create them too. Tom: I in the creative camp. I enjoy creating. That’s one reason I like to game master when role playing. Many of us gamers are working on a game design of some sort. I have three or four in progress myself. Now for your first game, Viticulture. Tell us all about it, what is it about, how do you play? Jamey: I have a short, visual video that explains all about the game and its nuances–that’s the best way to learn more if you want details. But if you just want a brief overview, Viticulture is a worker-placement game for 2-6 players that puts each player in the position of a vineyard owner in rustic Tuscany. It shares elements with Stone Age, Fresco, and Agricola. Tom: I haven’t played Agricola yet both like Stone Age very much and Fresco to a lesser extent. So you have my interest. Now, you have a co-designer on this one. How did you guys get together to form Stonemaier Games? Jamey: Alan’s been a friend of mine for about 8 years. We discovered Euro games through different groups of people around that time, and when he learned that I was designing a game, he joined forces with me to make Viticulture what it is today (he also shares my passion for game design). 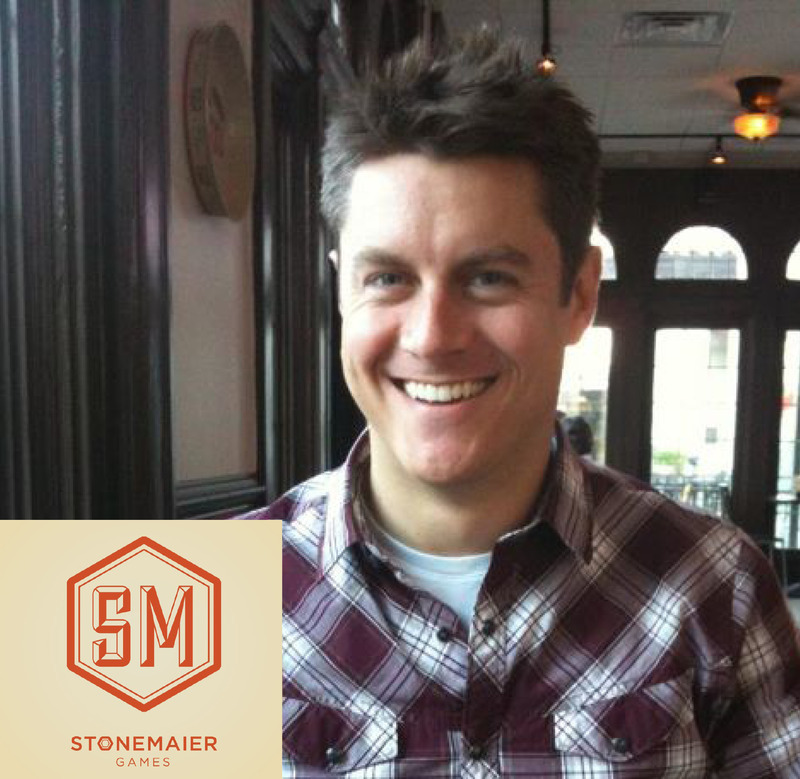 We officially formed the company two months ago using our two last names: Stone and Stegmaier. Tom: Where did you get the idea for Viticulture? aspects came together to form the initial concept. Tom: So you researched viticulture and we should expect the game to be faithful to that? Jamey: I started with research, yes. I researched all the various nuances of making wine–the soil, the topography, the types of grapes, the production process, etc. There are so many choices and variables when it comes to making wine that it’s truly a fascinating experience to encapsulate into a game. I couldn’t incorporate all of those factors into the base game, but I’m hoping to find ways to incorporate them into future expansions. Tom: Did anything change from initial concept to final product? Jamey: Oh yes, absolutely. The original version of the game didn’t have a board–just cards and a player mat. The idea of worker placement was there, but for a while there were no actual workers, just options you could take (having physical workers to place makes a game much easier to understand). Early versions of the game also had dice that you rolled for random weather/economic situations. It was a thematic concept, but it was also extremely frustrating for players. Tom: Yeah, though I like the idea of weather and economic stresses in a game, I can see how the randomness of dice could create havoc to a well planned strategy that seems to be needed for the game. That would drive hard-core Euro gamers nuts. 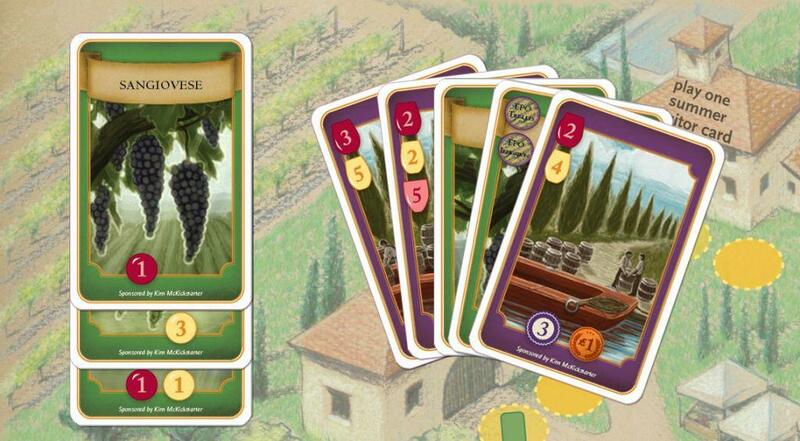 Now, there have been several ‘vineyard’ themed games in recent years. What is unique about Viticulture? What sets it apart from those games? Jamey: I think the most well-known are probably Vinhos and Grand Cru. Both are great, complex games. I would say that my 12 tenets of gaming that I incorporated into Viticulture separate it from those games in a number of ways. Also, all due respect to those games, but neither of them really captures the romanticism of owning a vineyard for me. Tom: I don’t know these 12 tenets. There is a link above but could you list them for us. And being a vintner is romantic? How so? Balances, not checks for close games. Tom: Those are excellent points for any game designer to remember. I need to print them out and keep them where I can see them when I’m working on a game. Back to Viticulture, I can see how wine lovers will like the theme but I’m not a wine person. Why would I like Viticulture? Jamey: I think the wine theme enhances the game for wine drinkers, but I think that gamers will enjoy all of the mechanics and balances (and the excitement of the draw). I could have made the game about wizards harvesting potions instead of wine, and the game would be very similar. Tom: This is kind of an obvious questions but why are you Kickstarting it? What are some of your supporter rewards and stretch goal bonuses? Jamey: I’m Kickstarting it because the minimum print run plus basic art and design for a game like this costs a lot of money–over $25,000. I don’t have that kind of money lying around, and I wanted to gauge interest in the game before going all-in. A number of the limited rewards are taken–I think they’re really cool, but they’re not available, so I won’t say much about them. 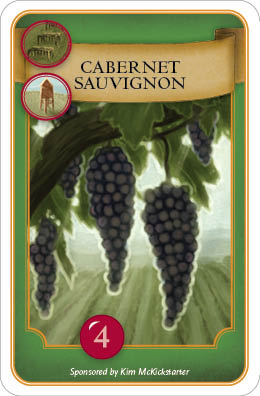 Most of the remaining rewards involve a copy of the game or multiple copies of the game with other components to enhance the experience, like wine glasses etched with the Viticulture name. Tom: The art is really nice. Tell me a little about the artist and how you joined forces. Jamey: There are actually a couple of artists. The first–the one who did the board–is a former coworker and friend. The second is Beth Sobel, who I discovered through the recommendation of a backer. And I recently added two more artists so we can keep the game on schedule with all the art we’re adding. Jamey: I’ll say this: I can’t imagine a game designer ever thinking his/her game is perfect. (I write fiction too, and I’ve heard that about novelists–there’s always something you feel like you could improve). So while there haven’t been any big problems, there have been tiny tweaks here and there. I think the key for any game is that you have people try to break the game at every step of the way. Once you get to the point that it can’t be broken, you’re golden. Tom: Who is producing the game? Jamey: Our manufacturer is Panda Games. It’s been a pleasure to work with them–highly, highly recommended for indie companies/designers. Tom: I’ve heard only good things about Panda. I really need to interview them. At present there are 3 days to go and you are at 202% of your goal. That is so awesome! How does that feel? Jamey: Tom, it feels incredible! I am so thankful for my backers–they’ve truly been incredible throughout this process. I had no idea that I’d reach my goal, much less surpass it. I’m adding more stretch goals for the end of the project and am now able to order more copies of the game in the initial print run, which is really exciting. Tom: When do you hope it will be released to Kickstarter supporters? Will it be released to the general public/distributors/game stores? Jamey: May is the month that I’ve stated as the date of receipt for the backers. However, as I mentioned above, I’m doing everything I can to stay on and beat the schedule. I won’t be completely happy unless I can get the game to the backers earlier than I said. I’ll ship the game to people who pre-order through the Stonemaier Games website after I send out all the Kickstarter copies. So the game should be on the shelves in game stores and wineries in June 2013. Jamey: Well, part of it depends on whether or not we hit our $75k stretch goal. If we do, I’ll be working intensely on that. If not, I’ll still be designing it, but less intensely. I also have two really cool mechanics I want to try out on new games. Also, I have a YA utopian novel I wrote this past spring that I need to revise before sending it out to agents. Tom: It looks like you will be busy with those stretch goals. That is fantastic. I’m really interested in these two cool NEW mechanics. Any hints? Jamey: Both have to do with managing time. I’m fascinated by time right now, especially in terms of games. How and when you choose to spend your time are integral to the new mechanics. I need to test them extensively, of course. I think I’m more interested in time than normal because of the choices I’ve had to make about time during the Kickstarter campaign. I have a day job, but I’ve probably spent about 60 hours a week in addition to that working on Kickstarter. I’ve made some tough choices about sleep, and I’ve seen how that affects me. I’m currently my own one-man worker placement game, and so I want to see how those choices play out when applied to a game like Viticulture. Tom: A YA utopian novel? That’s kinda against the grain right now. Kinda brave. But very cool. Talk about that a bit. And vampires do not sparkle, folks. Jamey: Thanks for being curious about this! Writing fiction is my other passion. YA dystopian fiction is hot right now (and really, there have been a number of great, bestselling YA dystopian novels over the last 30 years), but how about a book where the future actually turns out well? In fact, not just good, but really good? What would have to change to make that happen, and what sacrifices need to be in place to ensure it stays that way? I’ll give you a hint: It involves one-way time travel. Only one way. If you’re intrigued, you can sign up to learn more and stay informed about if/when the book is published here. Tom: I’m a sucker for a good time travel story. All You Zombies by Heinlein and Winters Tale by Mark Helprin are two of the best. Is there anything else you would like to talk about? Jamey: In all of these interviews, I don’t think I’ve been asked that before! In real life when I’m stumped in conversation, I usually resort to turning things back around. So I’ll ask you and your readers (you can reply in the comments): (a) What is your favorite board game right now, (b) what is the last truly innovative game mechanic you heard about, and (c) what is the most memorable thing you’ve ever seen a project creator do for a Kickstarter campaign? Jamey: I read your Garden Dice interview the other day–great stuff. I haven’t played Belfort, but I’m really intrigued by it. I love games where you’re building something (there’s a nice sense of accomplishment that comes with that). Like you, I’m surprised by some of the cancellations, but perhaps there’s a method to that choice. I’d have to talk to those creators to learn more. Ha ha…no setup there–I was genuinely curious about your answers (and I’ll stay tuned to your blog to learn more). The idea behind the money-back guarantee is that all of these people are trusting me to deliver a great product. They’re enabling me to manufacture the game. So I want to reciprocate that trust on the back-end–if they play the game a few times, don’t like it, and return it within the first month, I’ll give them their money back. Tom: Ok, I’ve read some of your blog and it’s pretty interesting. Talk a bit about the ‘My Greatest Fear’ series of posts. How did you come up with that? Jamey: That series–which I think I started a few years ago, not thinking that it would become a series–has really picked up over the last year as I realized how many small, laughable fears I have. The goal of my blog is to generate conversation, and I’ve found that everyone has irrational fears that make for great discussion. Tom: Hmmm, I wonder what my irrational fears are? I should think about that. Oh, I know one. Leaving something on when I leave home. Or not locking the door. I’ve started out down the street only to turn around a few houses down to see if I locked the door. Drives my wife insane. Point us to the Viticulture Kickstarter again. And to Stonemaier Games. Sure! 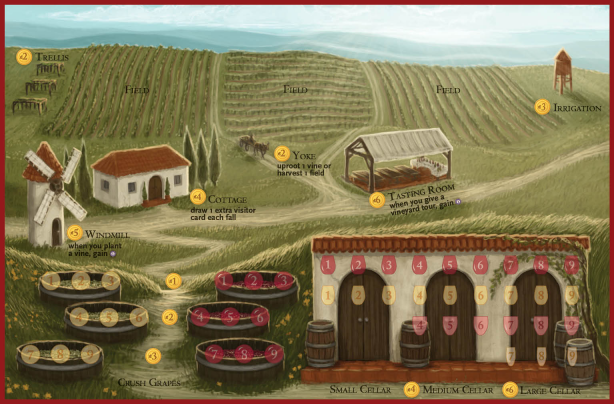 Here’s the Viticulture Kickstarter project page, here’s the Stonemaier Games website, and here’s our Facebook page. Thank you so much for this opportunity! Keep up the great work on your blog. Tom: Thank you Jamey. This was a fantastic interview and I’m looking forward reviewing and seeing Viticulture in my FLGS in the coming years. It was a ton of fun talking to you. And once again thank you for visiting Go Forth And Game. 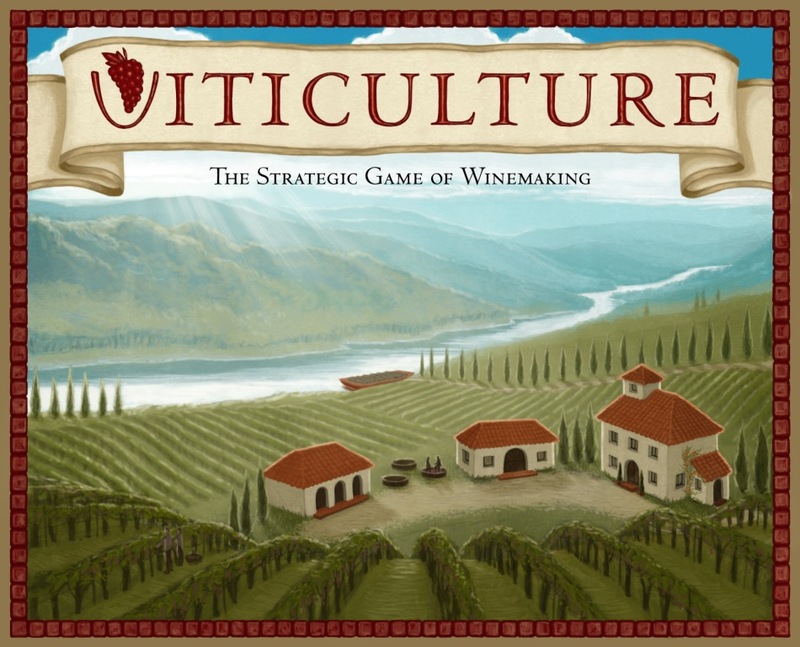 I hope you enjoyed the interview with Jamey and that you will support Viticulture on Kickstarter. You only have about 36 hours left to be a part of this game. Please leave a comment below to let me know what you liked about this interview. Question of the Month – September 2012 – What Is Your Favorite Game Mechanism?